These days, there tends to be many common misconceptions regarding Down Syndrome. With World Down Syndrome day fast approaching, it is important to highlight the common myths that come along with this extra chromosome. When it comes to our bodies, our genes play an extremely important part in how we look and function. Chromosomes are basically a bundle of genes that influence the way our bodies work. When these chromosomes are altered in any way, it can throw off the body’s development and affect the individual’s life when they are born. In the case of Down Syndrome, individuals are born with an extra chromosome which creates a change in the way the baby’s body and brain develop. This can create some challenges for the individual well into adulthood, but there are a few myths that challenge just how much. Myth: All people born with down syndrome have a severe cognitive disability. Truth: Individuals born with down syndrome do have mild to moderate cognitive disabilities, but in no way does this shape them or limit their potential. They make take a little longer to reach certain developmental goals, but they will continue to pick up many skills and abilities in order to lead very fulfilling lives. Myth: Most children that have Down Syndrome are born to older parents. Truth: While the possibility of having a child with Down Syndrome does increase with age, the chances are just as likely for women under the age of 35 based on the fact that younger women tend to have more children. Myth: Down Syndrome is hereditary and tends to run in families. Truth: There are three types of Down Syndrome, and the only one that has been shown to have a hereditary link is Translocation, which occurs in about 3% of all individuals that have Down Syndrome. Out of the 3% of these individuals, only 1% of them can be hereditary! Truth: Down Syndrome is actually one of the most common chromosomal conditions in the United States. On average, around 1 in 700 babies in the United States are born yearly with Down Syndrome, which equates to about 6,000 births per year. As research has continued over the years, many more opportunities have come about for individuals with Down Syndrome. 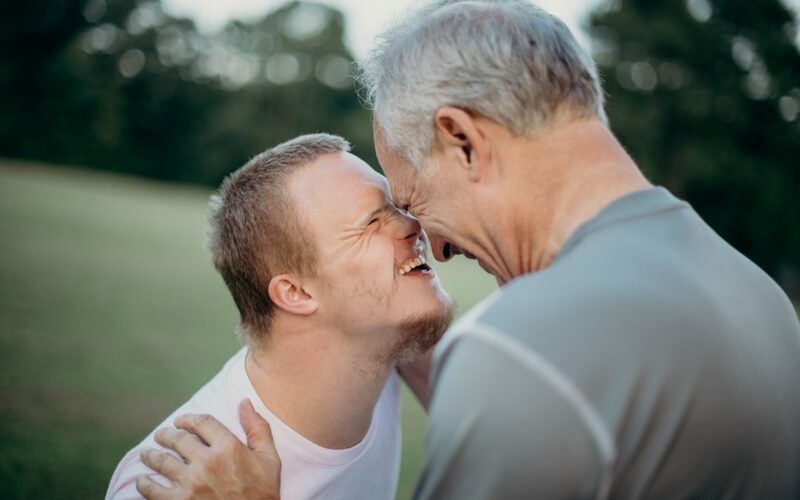 Whether it’s early preemptive medical care, improved school programs or opportunities for housing and jobs, individuals with Down Syndrome are able to live their lives better than before. If you have any questions about Down Syndrome, make an appointment at Mt. Auburn today!